While there have been many speculations and theories as to what happened, as already posted at Imposing Headlines, the story takes another twist and theory after the blade runner's statement in the court.
" I had been on the balcony of my house when I heard noises from the bathroom. 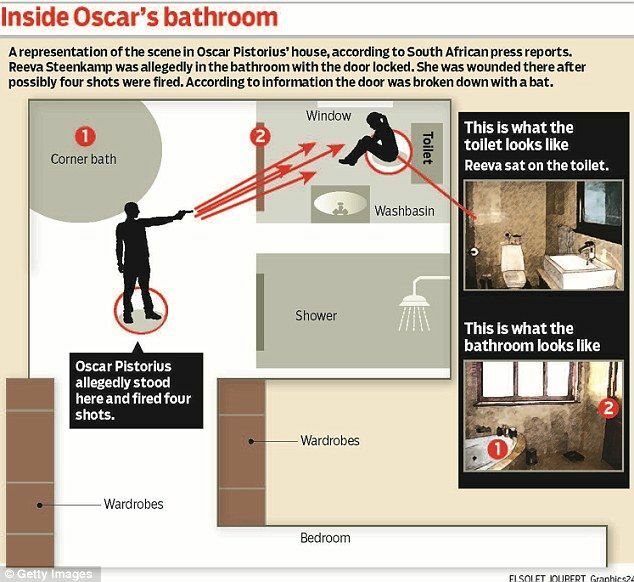 Believing Reeva Steenkamp was asleep in bed, I grabbed his gun and shouted a warning before firing four shots through the door." "It was only then I realized that Miss Steenkamp was not in bed. 'I kicked the door open.' 'I tried to help her but she died in my arms."